One expertly crafted, white-label website. Whether you’re looking for a simple page or a robust platform, we have the custom theme for you. We've coded themes for both agencies and small businesses, and are here to make your theme dreams come true. Need a custom WordPress plugin? We've got you covered. We’ll work with you to determine your needs and make your site work just the way you need it to. Does your website need a boost? Let us bring our WordPress development expertise to the table and make your site faster, more secure, and more likely to lead to a sale.  "Working with SKM.digital has been an incredible experience. We receive prompt, accurate and professional help on all our website services that have lifted a huge burden off our team and allowed us to grow our business more rapidly. Their work is top notch and it seems that there is nothing they can’t do." Follow-us and stuff like that. © 2019 SKM Enterprises, LLC. All Rights Reserved. Seriously its free. Hit us up and we’ll get back to you promptly.